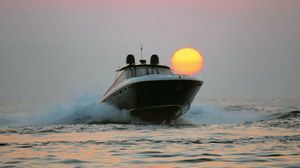 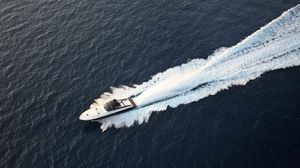 Sleek styling, exceptional performance and superior comfort: the unmistakeably sporty profile of this vessel oozes unrivalled technology, liveability and class. 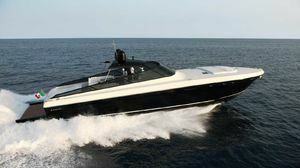 Created for true open yachting enthusiasts. 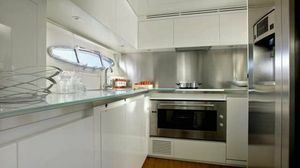 The perfect blend of class, technology and extraordinary liveability, the flagship of the Itama fleet offers open-air yachting enthusiasts unprecedented space: from the elegant and generously-sized cockpit, to the inviting lounge area beyond the helm station, and the large sundeck on the bow. 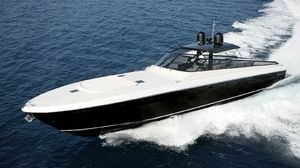 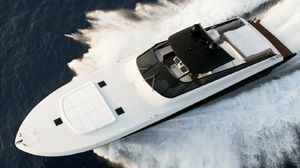 Twin 1823 hp MTU engines with surface-piercing propellers achieve speeds of up to 42 knots with sparkling performance, enhanced by the slender profile and use of carbon fibre, which makes the exclusive sliding avantop and the centre canopy so lightweight and elegant. 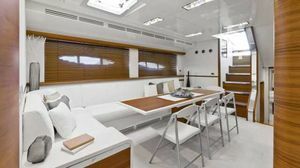 The interiors offer wonderful liveability, thanks to a galley equipped with every amenity and a spacious dinette furnished with a comfortable L-shaped sofa and extending table, for relaxed lunches or dinners with friends – unforgettable moments in the utmost comfort and style. 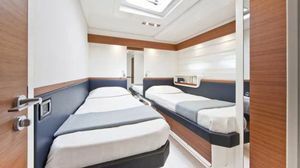 Room for comfort: refined and inviting interiors, with layouts designed to offer maximum liveability and privacy on board. 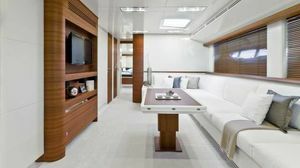 The chaise longue in the master cabin for relaxing while appreciating the sea view, capacious wardrobes, and elegant finishes, all enveloped in a warm atmosphere set off by precious woods and luxurious details, turn this yacht into a luxury home on the water. 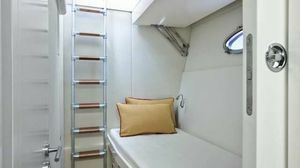 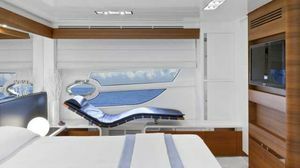 The layout of the interior, with welcoming and refined guest cabins, is ideally suited for unforgettable cruises spent with family and friends. 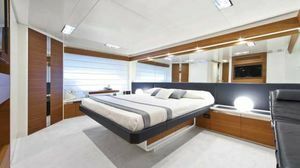 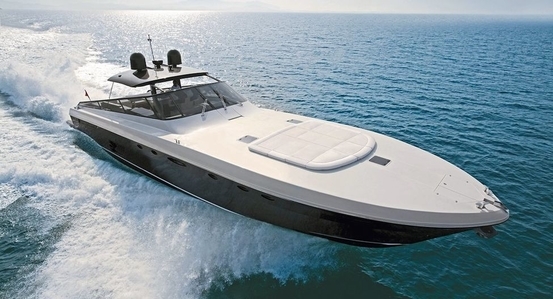 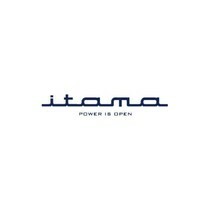 Itama 75 offers a choice of three- or four-cabin layouts, all with en-suite bathrooms.